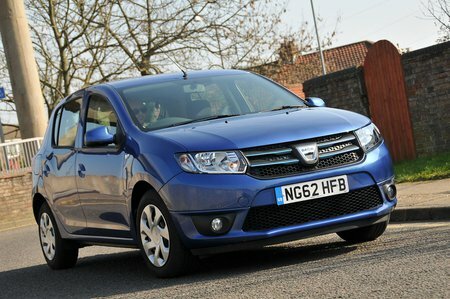 Used Dacia Sandero Review - 2013-present | What Car? What's the used Dacia Sandero hatchback like? Small cars have been getting steadily more advanced, with additional technology being added to appeal to buyers who demand the latest gadgets. This push upmarket has meant that buyers who simply want a low-cost A-to-B car have been forced to look elsewhere. Fortunately for these people, there is the Dacia Sandero. The no-frills brief of the Sandero extends to the engine range, which kicks off with a 74bhp 1.2-litre petrol, but it's an engine using old technology and is simply not as efficient as more modern units. That's why it was replaced as part of the 2017 refresh with a three-cylinder, 1.0-litre petrol with exactly the same output but better running costs. There is also an 89bhp 0.9-litre turbocharged three-cylinder petrol and a 89bhp 1.5-litre dCi diesel (upgraded to 94bhp later on), but these are only available on higher-spec cars. The basic Access version does without many luxuries you would expect of a new car, including such modern novelties as a radio. Ambiance adds more of what you'd expect of a modern car, with the top model being the Laureate, which is surprisingly plentiful on the used market, despite it not offering great value against rivals when it was new. As part of a further model refresh in 2018, mid- and top-tier trim level names were changed to Essential and Comfort to match those of the Dacia Duster small SUV. However, getting a better-equipped Sandero doesn’t fully disguise the interior quality, which feels as if it has come from a car two generations ago, or the limited amount of sound-deadening material that has been used to try to quieten both the sound of the mechanicals and road noise. The biggest leap that has been made with small cars is making them quieter and more suited to long journeys. 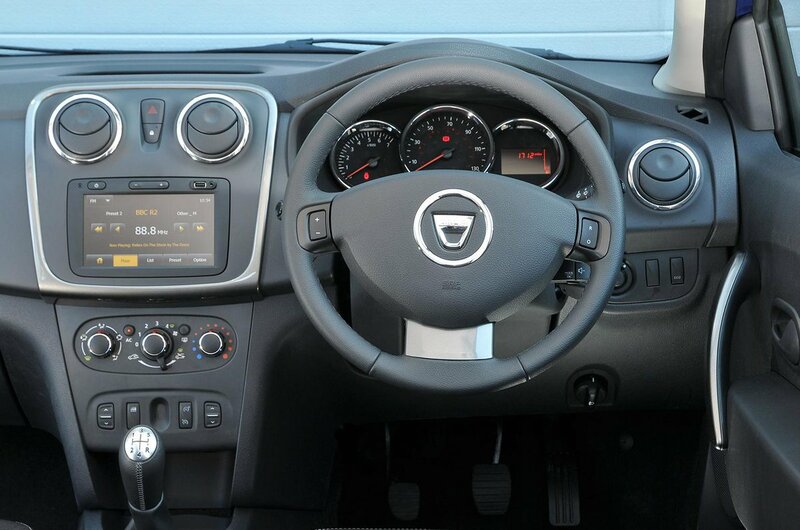 With the Sandero, you will need to make sure you can live with it, or turn the radio up in an attempt to drown it out. There are plus points. To start with, the Sandero is noticeably bigger inside than its rivals, thanks to its larger body. If you regularly have passengers, this might be the car for you. And if you want comfort, the Sandero has a softly sprung ride that copes with speed bumps, potholes and bridge expansion joints quite well. Dips and crests on faster roads send the suspension into a bit of a dither but, for the most part, it's fine. The steering is vague and quite heavy by modern small car standards and the weighting of it can be a bit odd because it lightens considerably as you turn into a bend. A Ford Fiesta trounces it here because it manages to be both fun and engaging to drive, but quite comfortable too. The pursuit of a low purchase price when it was new has led to some compromises here, which you will have to consider when you look at a Dacia Sandero as a used purchase. Still not sure? Read on, and hopefully the rest of our comprehensive buying guide will help you decide.